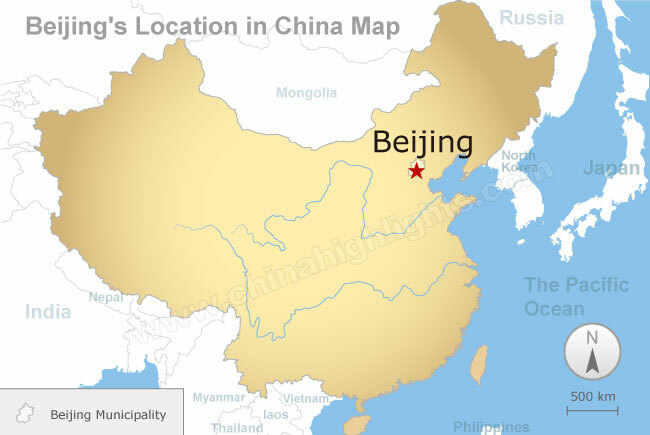 Beijing (formerly romanised as Peking) is the capital of the People's Republic of China and the world's third most populous city proper. It is also one of the world's most populous capital cities. The city, located in northern China, is governed as a direct-controlled municipality under the national government with 16 urban, suburban, and rural districts. A city combining both modern and traditional architecture, Beijing is an ever-changing megacity rich in history but also truly modern, exemplified in its extraordinary global influence in politics, business & economy, education, history, culture, language, music, sporting, architecture, civilization, fashion, art, entertainment, innovation and technology. Beijing is the second largest Chinese city by urban population after Shanghai and is the nation's political, cultural, and educational centre. It is home to the headquarters of most of China's largest state-owned companies, and is a major hub for the national highway, expressway, railway, and high-speed rail networks. The city's history dates back three millennia. As the last of the Four Great Ancient Capitals of China, Beijing has been the political centre of the country for much of the past eight centuries. With mountains surrounding the inland city on three sides, in addition to the old inner and outer city walls, Beijing was strategically poised and developed to be the residence of the emperor and thus was the perfect location for the imperial capital. Beijing has seven UNESCO World Heritage Sites – the Forbidden City, Temple of Heaven, Summer Palace, Ming Tombs, Zhoukoudian, as well as parts of the Great Wall and the Grand Canal, all popular locations for tourism. The city hosted the 2008 Summer Olympics and was chosen to host the 2022 Winter Olympics, which will make it the first city to ever host both events. Many of Beijing's 91 universities consistently rank among the best in China, of which Peking University and Tsinghua University are ranked in the top 60 universities in the world. In 2015, 52 companies of the Fortune Global 500 company headquarters were located in Beijing, more than any other city in the world, including state-owned enterprises State Grid, China National Petroleum, and Sinopec Group, ranked 2nd, 3rd, and 4th, respectively. Beijing CBD is quickly becoming the center for Beijing's economic expansion, rapid modernization, and radically changing skyline, with the ongoing or recently completed construction of multiple skyscrapers. Beijing's Zhongguancun area is also known as China's Silicon Valley, China's center of innovation and technology entrepreneurship. According to the 2016 InterNations Expat Insider Survey, Beijing ranked first in Asia in the subcategory "Personal Finance Index," a measure of expats' salaries versus cost of living in the city. Location of Beijing in China.